Until recently, when you wanted a betting exchange you probably went to Betfair. There were a few other options but Betfair was undoubtedly the number one. Indeed, the arrival of this site has changed the way that many people bet. What does Smarkets offer and how does it differ from Betfair? Most important of all, which one of these exchanges is best for you? In this Betfair vs Smarkets review I will look at the different points to take into account. Yet, the huge popularity of Betfair has also led to other, similar sites popping up. It is only natural that other companies want to get a piece of this action. Among these new rivals is a site called Smarkets. Smarkets is very similar to Betfair in many ways. They are both betting exchanges, after all. This means that they offer broadly similar services. Therefore, the key to this Betfair vs Smarkets review is in understanding the differences. We can start with the things that Smarkets has in common with Betfair, though. You can place lay bets here to make matched betting work. Otherwise, you can also use different trading strategies to trade on here. A big advantage they have is that the Smarkets site promises the best odds and lowest commission. This is a great start and encourages us to find out more. High commission is definitely one of the main complaints of Betfair users. If you are new to trading then the public interface might look daunting. However, if you have used a betting exchange before then you will be up and running in no time. The public API for Smarkets has recently been launched this year. They have also worked lately to make their site easier to read. A lot of information is packed in but it isn’t confusing once you get to grips with it. In order to see how it stacks up against Betfair, we need to understand it a bit more. It offers a very similar idea to Betfair. You can see how the markets are moving and look for smart trading opportunities. You can also identify bets that work for you. At the time of writing, the homepage has a lot of information on betting for the next Conservative leader. At the side, are the details of the biggest upcoming football and horse racing events. On the other side, the top categories are listed as football, horse racing, politics and tennis. Other categories include American football, basketball, baseball, boxing, cricket and golf. Apart from the many sports listed there is also current affairs, together with TV and entertainment. It isn’t really any better or worse than Betfair in terms of looks and functionality. Both sites take a big of getting used to. Yet, both are easy enough once you learn the basics. Click here to visit Smarkets. Ok, so the basic idea is very similar to Betfair. This raises the question of why you should move to Smarkets. What can they offer to make this an easier decision for you? 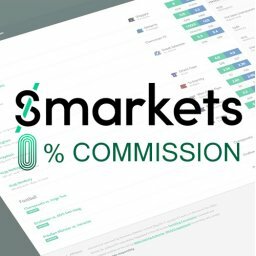 One of the biggest reasons for switching to Smarkets is their offer of lower commission. They offer a standard commission rate of just 2%. It is clear that 2% is a big saving on the 5% that Betfair charges. This is especially true if you bet a lot on the site. The lower commission soon adds up to more money for you. There are also no additional charges on here. Remember that Betfair has additional charges for winners. The charges are hefty and can really eat into the profits of regular winners. While 2% commission is pretty low, what about paying even less? 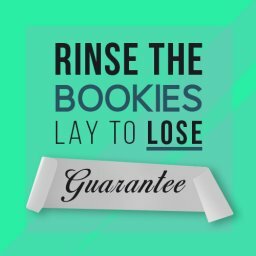 Maybe you will be tempted to give this betting exchange a try if you don’t pay any commission at all. In fact, it is possible to get 0% commission all the way through to 15th January 2019. This offer applies even to existing Smarkets customers. You don’t need to be totally new to the site to benefit. Anyone can grab this offer. You can get this 0% commission while placing your bets from within powerful matched betting software. This can done from your Profit Maximiser or Betting Mastermind account. Simply use the Smarkets Alliance software to get this deal. This isn’t the only difference covered in my Betfair vs Smarkets review. However, the lower commission is the most important factor. By cutting out this cost you are left with more pure profits. In November 2018, Smarkets introduced something called ‘Pro Tier’ commission. This is a new commission structure for their most active users. Instead of the standard 2% commission on winning bets, you pay 1% commission on both winning and losing bets. The criteria for paying the pro tier is placing over 1500 bets per month or placing over £1 million in a single month. Smarkets say it will effect less than 0.2% of their customers. The next point in this Betfair vs Smarkets review has to be around liquidity. After all, it is absolutely crucial that you can make your moves with no liquidity fears. Since this is a new site, you won’t be surprised to find that liquidity is more limited. Betfair has been around for years and has a huge number of customers. It seems likely that liquidity will increase over time. As Smarkets grows in popularity it should become less of an issue. It should also be noted that liquidity in Betfair is decreasing lately. At the moment, liquidity is best on big events such as high-profile football games. If you want to trade on more obscure events you will find it a bit trickier. To be fair, exactly the same applies to Betfair. For most people, the liquidity isn’t going to be a big issue. For example, this isn’t a problem when matched betting on big games or races. It is more important when trading on low-profile events on a betting exchange. The Smarkets in-play liquidity is much worse than Betfair. I personally wouldn’t use Smarkets in-play betting unless it’s on a big game. One of the main reasons for reading this Betfair vs Smarkets review is to decide where to carry out lay betting. 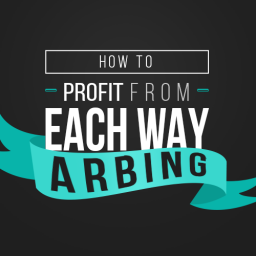 This is a crucial part of betting strategies such as matched betting. Where should you place your lay bets now? In the past, Betfair was by far the best option. In fact, it was the only place that some people used. Now that Smarkets is around, there is a new option to take into account. We have looked at the question of the commission rates earlier. This is clearly a point in favour of Smarkets. The less commission you pay the easier it is to turn a profit. It might also open up new bets that wouldn’t have been profitable otherwise. You will find a wide range of games and races on both sites. Betfair still has a slightly bigger selection. I would expect this to change over time, though. Smarkets has enough for most bettors anyway, I would think. At the moment, it is just a case of seeing which site has the best odds. Taking the lower commission into account, Smarkets definitely has an edge if they are both similar. 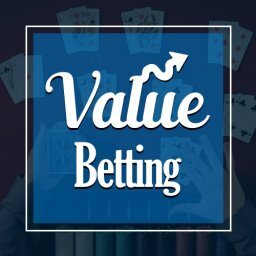 The process for lay betting is similar on both exchanges. You will soon pick up the basics once you get started. If you carry out matched betting then using Smarkets isn’t going to add any extra time to the process. What about people who want to trade the market on an exchange? 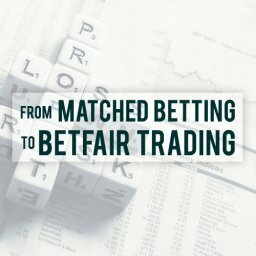 What does this Betfair vs Smarkets review have for them? Is trading out likely to be a problem on either exchange? Both of these exchanges are certainly suitable for trading. There are a few different issues to take into account here, though. First of all, are the same prices available in both places? These seem to be broadly similar but you may find some differences. Remember that Smarkets promised the best odds? You should find good deals by looking round a little. Then there is the liquidity issue. If you are betting on a big game or race this shouldn’t be a problem. The lower liquidity on Smarkets makes it slightly more difficult to trade on less popular events. Again, this is a situation this is subject to change. Smarkets’ liquidity is improving while it is decreasing on Betfair. Finally, you need to think about possible system outages. As well as being frustrating, this can stop you from trading at the right time. It can be frustrating to not be able to trade due to the site being down. You could even lose a lot of money in this way if you are unlucky. Being a more established site, you might think that Betfair has a better track record. Despite spending a lot of money on servers, Betfair does suffer from occasional outages. The problem isn’t major but it does exist. At the moment, the signs are that Smarkets doesn’t have outage problems. Of course, this could change as it get more popular and the servers suffer more strain. Right, they seem to be coping easily with the level of demand experienced. Bearing all of this in mind, Smarkets is certainly an option to consider for trading. Smarkets claim to offer the best odds. This should mean that you confidently bet here without shopping around. Yet, sometimes you might notice that the lay prices can be higher here. Why does this happen? Does it mean that lay betting is more difficult to carry out? Typically, this will occur when there is a price boost. A lot of matched bettors making the same moves can force prices up. If everyone is after the same offer then the market will shift due to this. Matchbook have the back odds 5.1 & lay odds 5.2. To be fair to Smarkets the price did come down back in line after an hour or so. But it’s common to see slightly higher lay prices than other exchanges when lots of people are hitting the odds in a short period of time such as price boosts or 2 UP offer. The reason you can end up paying a “premium” is because of the Smarkets 0% commission deal. It makes them very popular among Matched Bettors. It basically boils down to looking for the best prices. If the price is too high then the bet might no longer make any sense even if you are paying 0% commission. Do Smarkets Seed Their Own Markets? One of the noteworthy issues about Smarkets is the revenue of £25.4m reported for 2016. That was a massive increase from the previous year. The signs are that they will continue to grow at a fast rate. Yet, only £8m of this figure mentioned earlier was earned in commission. So, where did the rest of the money come from? Well, £17m was reported as being “betting activity”. This means that is appears as though they make plenty of money from betting against their customers. Indeed, this earns them more than double what they rake in on commission. This point doesn’t really make a huge amount of difference to this Betfair vs Smarkets review. There is no reason to be put off by this fact. However, if you are planning on trading then it is something to bear in mind. As we have seen, Smarkets has a lot in common with Betfair. Yet, does it offer enough to make switching over worthwhile? Most people will tend to stick to the same site unless there is a very good reason to change. Clearly, the people behind the newer site have worked hard to convince bettors to make the switch. The biggest reason for making the move to Smarkets is the lower commission. The offer I mentioned earlier for 0% could make a huge difference to your profits. By paying less commission you can take home more winnings every time. The liquidity is another important point. In this case, Betfair liquidity is decreasing. Smarkets liquidity is going the other way and increasing. This really means that it isn’t too much of an issue. Indeed, it should continue to become less important as time goes on. Overall, it is becoming more tempting to try Smarkets. There are certainly some strong reasons for giving it a try now. If you are interested in matched betting then the 0% commission offer makes a lot of sense. There is nothing like a free bet offer to encourage us to try a new site. This is a fine way of checking it out and trying to win at the same time. The people are Smarkets know this, and have set up a tasty offer for newcomers. Currently, this give you £50 in risk-free bets. You can use this money to bet on Premier League games. First of all, you choose your team. After that, you get £10 to use on each of their next 5 matches. It is important to remember that you can’t choose team once you select one. So, it pays to make a smart choice of team to use your free bets on. 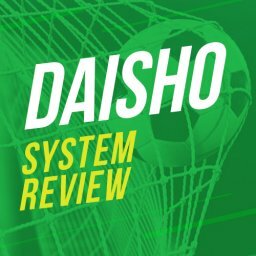 This is an excellent introduction to the site. You can get used to how it all works without risking any of your own money. Don’t forget that you will also be using bookies offers for free bets on matched betting. Once you get started on matched betting the low-risk approach means you won’t be risking your cash either. What Do the Other Reviews Say about Smarkets? Plenty of other people have carried out Betfair vs Smarkets reviews. Do they like what they see? Or do they recommend sticking to Betfair? Have they noted any major issues that we haven’t covered yet? The overall opinion of Smarkets is positive. A lot of reviewers can see the benefits of giving Smarkets a try. 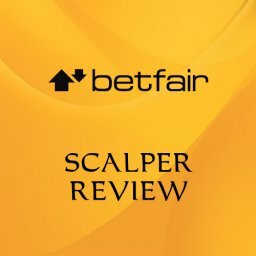 It seems that a number of reviewers have been waiting for a Betfair alternative for some time. The lower commission rate is definitely one of the main factors. This is a great way of boosting profits. Most reviews see this as being the main advantage on offer. Naturally, the liquidity is another factor that they look at. It is clear from looking at a few Smarkets reviews that this is becoming less of an issue. The earlier reviews had it noted as more of a problem than recent ones. The lack of reported outages compared to Betfair is also commonly commented upon. However, it should be noted that Betfair has been around a lot longer. Time will allow us to do a fuller comparison on this point. It is also noted that the fund protection is slightly lower on Smarkets. This isn’t likely to be a big deal for most people, though. There are other parts of this Betfair vs Smarkets review that are far more important for the majority of bettors. Who Is This Site Right for? Who is likely to want to sign up at Smarkets? Well, if you are looking to try matched betting this is a site worth trying. In my opinion it’s the best exchange for Matched Betting at the moment. 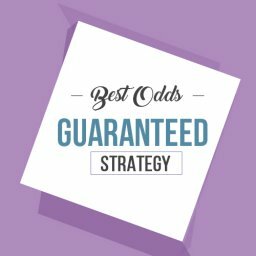 If the 0% commission deal is extended then they will stay the best matched betting exchange. 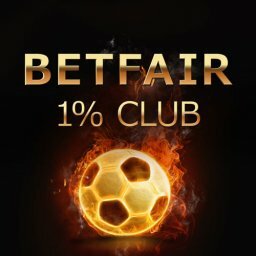 It doesn’t matter whether you have already used Betfair or not. Even if you have never placed a bet before you will soon be up and running. If you are an established Betfair user looking to pay less commission then it is a good move too. Anyone looking to trade the markets might also be interested. However, the benefits here are less clear-cut. Having said that, it is worth taking a look at. We have seen in this Betfair vs Smarkets review that it is a betting exchange to consider. The days of Betfair having a virtual monopoly in this market appear to be over. You can give this site a try for free and with 0% commission. This makes it a great option for boosting the amount you walk away with. It is going to be interesting to look at issues such as liquidity over time. Also, will greater demand put more strain on the Smarkets servers? Over time we will see how this service grows and adapts. 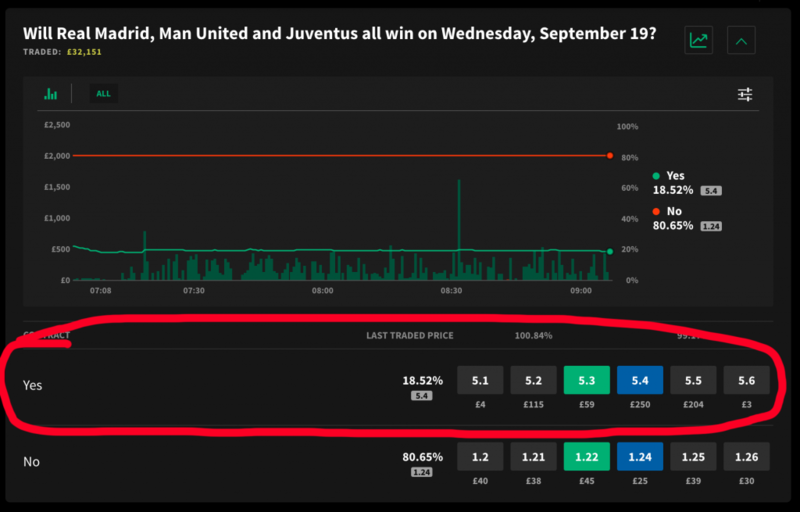 At the current time it is well worth using Smarkets to squeeze more value out of matched betting.